The severe drought of the last three years has demanded a revised approach to gardening and garden design in California. If you haven't replaced your lawn yet, consider taking advantage of incentives and rebates. Check your local city web pages. Having a landscape with low to moderate water needs in a severe drought isn't good enough, so I've been dialing up the drought tolerance of my garden. Besides, the less I'm watering other stuff, the more edibles I can grow. And it's not that I'll be deprived of a rewarding garden, it just takes some focused plant choices. 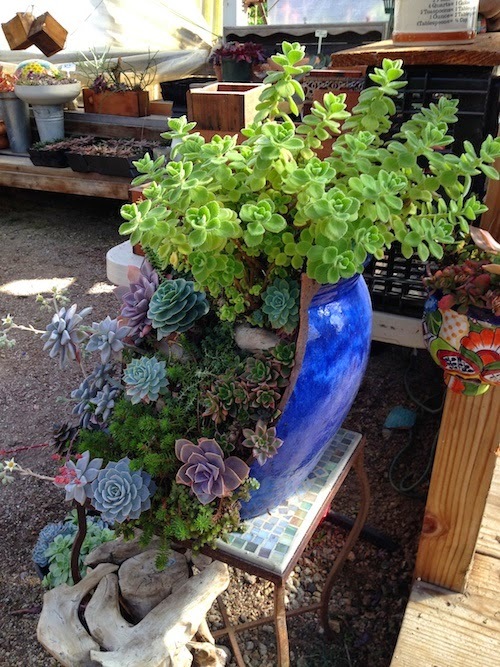 To keep it simple, collecting plants from the salvia (sages) and succulents groups offers lots of showy and water-wise choices, including drought tolerant California natives. As a bonus, saliva and succulent flowers are potent magnets for pollinators, especially hummingbirds and bees of various types. Not all salivas are drought tolerant. 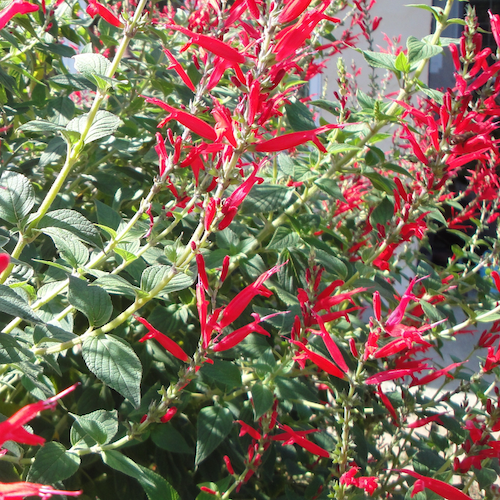 For the toughest and showiest look to our California natives: Salvia clevelandii 'Winnifred Gilman', Salvia pachyphylla, Rose Sage, and Salvia apiana, White Sage, to name some of the most popular selections. Look for your local chapter of the California Native Plant Society (CNPS) plants sales to purchase native sages. If you are choosing sages at your local nursery, make sure to check on the water needs of each specific variety before you plant them in your garden. They'll reward you with abundant flowers and fragrant foliage with very little upkeep. 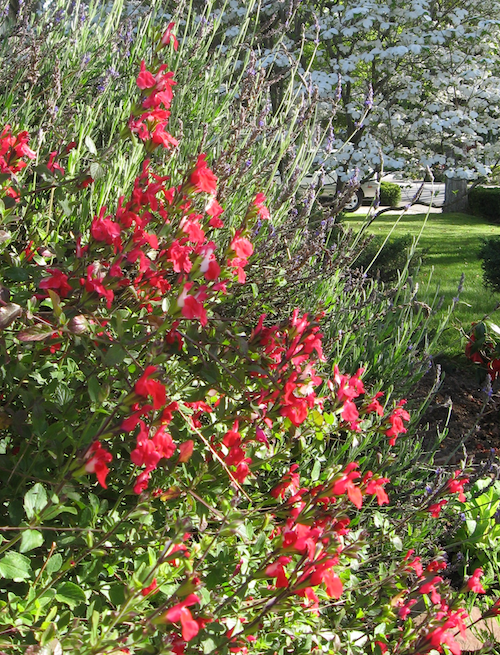 Most sages appreciate an annual pruning to renew foliage and flowers for the next season. 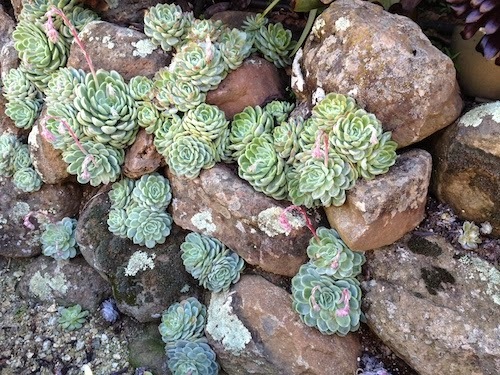 There seems to be no end to the variety of shapes and sizes of this plant group that includes cacti, as well as echeveria, sempervivens (Hens and Chicks), groundcover sedums, plus aloes and agaves. 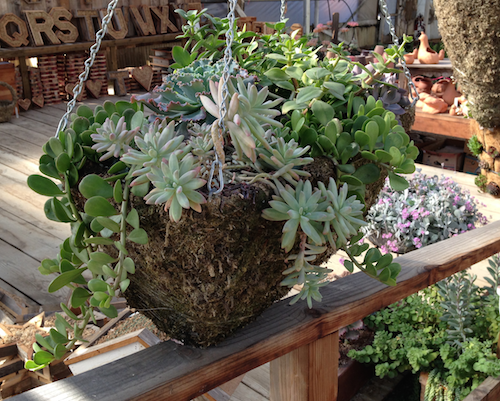 Use them on the ground in mass plantings, create a rock garden, hanging baskets, or in plant in repurposed containers for interesting focal features. For low maintenance success you'll need to make sure the soil has excellent drainage, and no chance of remaining soggy. 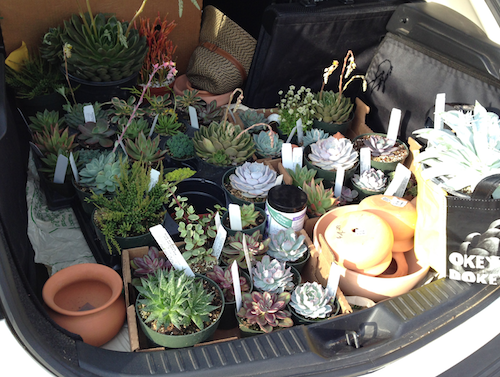 I like to use succulent & cacti planting mix or buy soil for potted plants and mix with lava fines 2:1. Don't fertilize, as a rule. If you must, use very little to kick-start growth then just water periodically when the soil is dry. Avoid keeping them moist which leads to rotting. It's also important to note the hardiness, or frost tolerance of your selection. If you've fallen in love with a frost sensitive type, make sure you remember to protect her when the cold season approaches.